Spend a pleasant afternoon visiting one of the many New York wineries, seeing how wine is made and tasting samples of their vintage. If you're a wine lover you'll enjoy our definitive list of Wineries in NY. 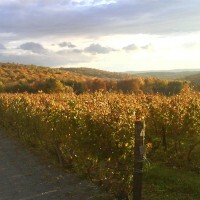 Visit one of the many vineyards in NY. This winery located right in Brooklyn calls itself an "urban winery." The location comes as a surprise to many, but the service is no surprise - you will find a staff knowledgeable in wines who are happy to share any information and guidance they can on choosing the right wine. Have a seat in the wine bar where you can enjoy a glass of this NY winery's handcrafted wine or a beer and some cheese or a salad. Sit at a communal table and get chatty with other visitors, or sit at a private table for an intimate conversation with that someone special. You can make your own wine at this NY winery where you will be involved from crushing the grapes to sampling the barrels and creating your own custom label, every step of the process will be guided by expert winemakers. Choose the variety of wine you want to make and decide exactly how involved you want to be in the process by choosing from one of the many wine making options offered. 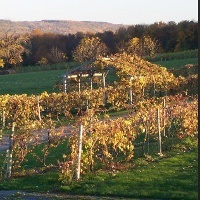 This family owned and operated winery in NY is a great place to learn how to make your own wine. In their wine making classes for all ages, it only takes four sessions before you can have a wine of your very own making. In each session you will be guided by an expert wine maker who will teach you how to de-stem and crush your grapes, how to press your fermented crush, how to rack your wine and finally how to filter bottle and cork your wine. You can even add custom labels to your bottles! Staten Island winery uses the finest California grapes and high quality wine making equipment, ensuring that your wine will be of the highest quality. 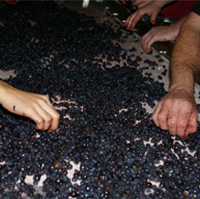 Wine making is a great family or date activity! Make Wine in the Middle of the City! City Wine is a great place to make your own wine in the heart of the city. You and up to 5 friends can join in purchasing a barrel of wine and will participate in the winemaking from start to finish. From crush to bottling, and all the bits in between (including tastings as often as you like) you can be directly involved in making your wine. Expert wine makers will be on hand to answer all your questions each step of the way. City Wine also has a restaurant and event space so if you're looking for a quiet place to sip fine wine in New York and listen to a performance of music or spoken word, this is the place for you. 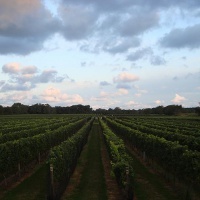 This vineyard on Long Island is open for wine tastings year round. Bring a picnic and eat outdoors with a delightful view of the vineyards and orchards as you sample the wines available at Bedell Cellars. In cooler months you might prefer to visit the tasting room for your wine tasting. This high ceilinged room has gorgeous views of the vineyards and an exhibition of vineyard owner Michael Lynn's private art collection. Table service is available and in this more intimate setting you and your guests can choose your wine and order a cheese plate to accompany it. When you book a VIP tour and tasting you will learn the history of Bedell Cellars and will receive a detailed tour including a look at the grounds, vineyard and wine making process while a guide tells you about each along the way. One of the finest NY vineyards. 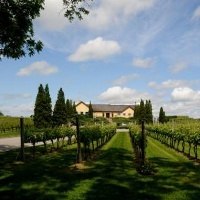 Old World Charm at this NY Winery! The gorgeous grounds of this vineyard and winery in New York will delight you from the approach up to the main Tuscan style building to the hills overlooking the vineyards. The tasting room, with its old world European style and decor is open seven days a week for private or group tastings. Sit inside or stand out on the terrace and enjoy the view of the vineyards. Be sure to visit the winery boutique where you can purchase souvenirs of your visit, wine glasses, clothing, books and more. Events take place regularly on a seasonal basis at the Wolffer Estate Vineyard. Keep an eye on their calendar to see when the next benefit or party will happen! 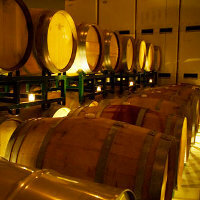 Taste Wine, Learn about Wine Making and Tour the Vineyard! 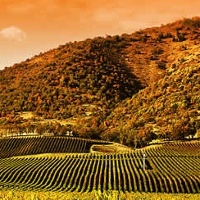 For over 30 years Hunt Country Vineyards has been providing fine wines to visitors and the surrounding areas. When you visit you can taste their many wines for a small fee and the friendly and knowledgeable staff will be happy to offer suggestions about which bottle is right for you to purchase. If you are visiting during the summer or fall you can get a guided tour of the winery, see wine making equipment and learn about the wine making process. Tours of the vineyards are also available by reservation - ride a hay wagon through the 50 acres of grape vines and learn all about the types of grapes grown and the history of the vineyard. Open year round for tours of the vineyard and winery and tastings of their fine wine, this New York winery is a great place for a romantic date. Take a tour of the winery and learn all about the wine making process from an informative guide before ending with a wine tasting of the fine wines made at Millbrook. Visit the winery store and buy books on wine, wine glasses, gourmet food items, and more. Bring a picnic and hike long the Vineyard Walking Trail and see beautiful views of the vineyard and surrounding mountains. If you are visiting between Memorial Day and October, you can have lunch at the Vineyard Grille and Cafe - an outdoor lunch cafe with a simple but delicious menu served at the Waters Edge Pavilion.